Since May 25, 2016, a new faculty of law and international relations has been established at Georgian Technical University. The aim and objective of this faculty is to create one more competitive, strong and academic center giving complete and modern education in the Georgian educational sphere. History of the Department of Law had begun from 1978 by creation of the Chair of Patentology. Over the time the Chair was changing and expending and finally was formed as a Faculty of Law. The faculty had to respond to modern challenges and compete to other higher education institutions. The faculty also had to respond to the requirements of time and modernity. The Chair and afterwards the Department was headed by the most outstanding scientists and professors in the field of Law: Mindia Ugrekhelidze, Ketevan Kokrashvili, Zaza Rukhadze, Jemal Gakhokidze and Irakli Gabisonia. – Criminalistics Laboratory is equipped with modern technical means and serves both the development of professional skills and learning process. The training process of A 4-level program of professional learning course has been developing in the mentioned laboratory . – Criminalistics Laboratory of the Faculty of Law and International Relations of Georgian Technical University is a definite precedent as a laboratory existing on the training base. The Laboratory is a guarantee that the faculty will prepare a professional staff. 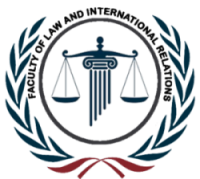 – Practical Law Clinic helps students to obtain professional skills of Attorney. Students with professors and under supervision of experienced lawyers conduct free legal consultations for Socially vulnerable layers people. The clinic is a clear example that students can obtain both theoretical knowledge and practical experience, which is the most important for their future professional activities. – Laboratory of Public Law, the head of which is Famous Professor Emeritus Avtandil Demetrashvili. The laboratory is unique with its exhibits and library. Students can see the constitution, legal acts and other symbols of over 50 countries, including the old Georgian Legal Monuments, depicting expositions of the first and the current republic of Georgia. There are held meetings with famous lawyers, prominent scientists, politicians. They share their knowledge, experience and practice with students. The Faculty owns a learning sector in Russian language. The ethnic minorities and students from neighboring countries are able to get education. The faculty also owns Georgian language courses, where students can study Georgian language and get education in Georgian. Today we can say that our former Department of Policy and International Relations and Department of Law already have graduates who are a successful and important part of our society, playing a great role in the development of our society and state. So our faculty, created on a joint basis, with the help of strong and merited professors, can play a decent role in the rebuilding process of our state.